What happens when you believe these myths or traditions? You've probably heard about some of these grilling myths, and may have even been fooled by a few. Grilling myths are perpetuated constantly, and often by well-meaning friends and family, and even by supposed expert chefs. Myths are passed down from generation to generation and sometimes cookbook to cookbook that seems true. All of us cling to what we believe, and can be reluctant to rethink our dearly held notions. These misconceptions are as common as they are incorrect. People who still believe this myth like a religious doctrine may have more to do with winning arguments than with thinking straight. But if you don’t fall for these cooking myths. Don’t be an errorist. It will save you time, effort and money. So, to avoid grilling mistakes before you begin the grilling session, here are the top 13 grilling myths that you need to stop believing. 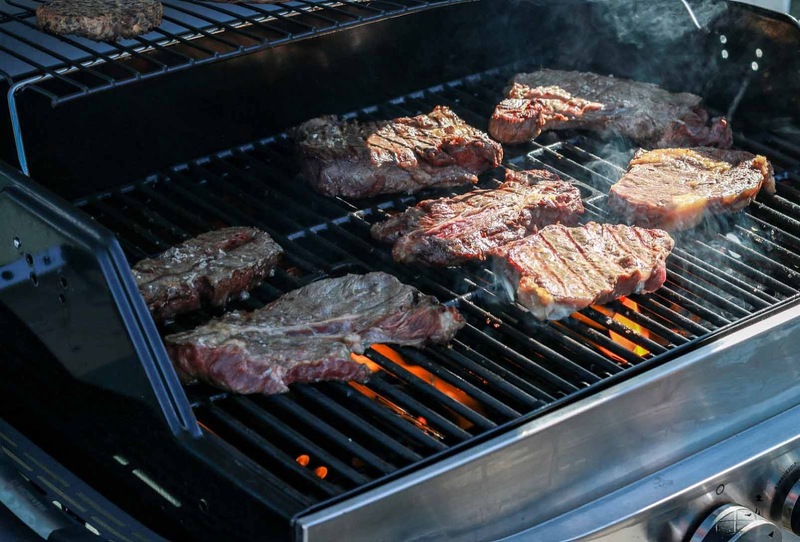 The following list explores common barbecuing myths and gives you the real facts. The blog post will take you about 7 minutes to skim or read through it. It will be fun! My main reference (aside from other five science books) for this post is The Science of Great Barbecue and Grilling. This is the definitive guide to the science of contemporary cooking, the concepts, methods, equipment, and accessories of barbecue and grilling. This is the grilling cookbook to end all grilling cookbooks. The finest book ever on outdoor cooking. It shatters 36 grilling myths that stand in the way of perfect steak or brisket. If you want to challenge or disagree with debunked cooking myths below, just read on and please post your violent reactions on the comment section. 13) MYTH: Meat Needs to Rest After Cooking. BUSTED! Some amateur cookbooks, websites and social media profiles like to publish tales declaring that you should rest meat after cooking (even if you are hungry as hell). We are told that if given the time to rest the meat will lose less juice when you cut it and when you eat it the meat will be juicier and tastier. 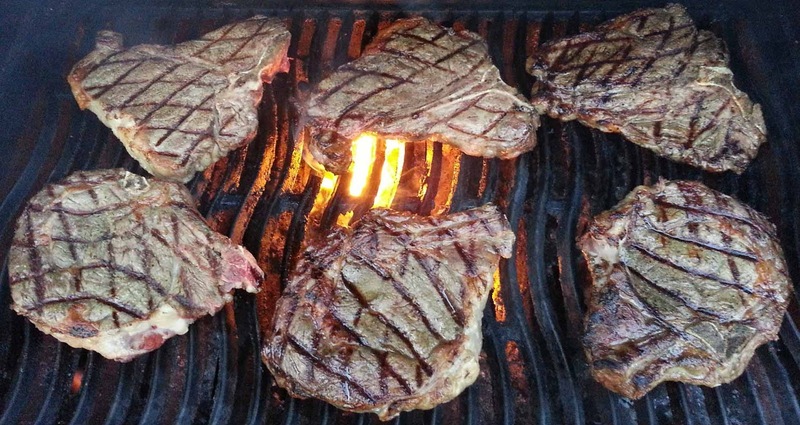 This grilling myth that has entirely been debunked by meat scientists. And still experienced cooks think that letting meat sit—or “rest” under a tent of aluminum foil. Many recipes, barbecue enthusiasts, amateur food bloggers, social media addicts and self-proclaimed experts have a recommended duration to let steaks and chops “rest”. The time taken to rest will depend on its size; a roast is best rested for 20 to 30 minutes before carving. Steaks or chops should stand for 10 to 15 minutes (but no less than 3) before serving. What is the Real Cooking Science Behind This? People assume that this delay allows moisture that cooking has forced to the interior of the meat to move back toward the surface as its reabsorbed, but water actually diffuses through meat too slowly to migrate far during cooking or resting. Also, water is flowing outward not inward during grilling; the sizzle of juices flashing to steam in your pan is the best evidence of this. The water inside any muscle mass—meat or seafood— is mostly trapped between the contracting protein filaments inside each muscle fiber. Cooking releases a lot of this water, and forces some of it outside of the muscle fibers. If you slice into a steak hot off the grill, the juice flows freely out of the meat and onto the cutting board or plate. But if you rest that same steak for a few minutes so that it cools slightly, less juice leaks out when the meat is cut. Why? Because degraded and dissolved proteins contained in the juices slightly thicken the natural juices as they cool during resting. The thickened liquid then escapes more slowly when the meat is sliced. This means more of those juices end up in your mouth and not on your cutting board. Some personalities who lecture about the importance of letting the meat rest say that if you cut into the meat when it is fresh off the heat, the juices pour out of the muscle fibers, which they think are like skinny water balloons. If you let meat rest and cool, they say, the pressure drops, the fibers relax, and fewer juices escape. The pressure theory is a myth, says meat scientist Antonio Mata, Ph.D., because fibers are not like balloons. Water is not trapped in the fibers or the spaces between them, so the pressure equalizes quickly. And at relatively low meat temperatures, water does not expand much. 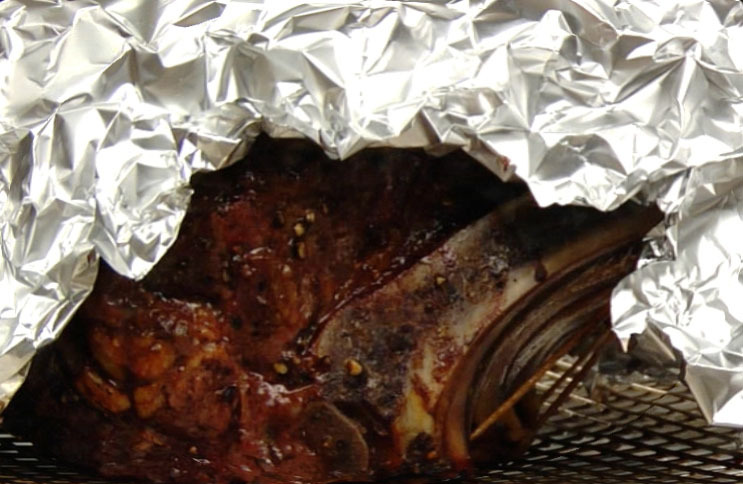 To test this theory, Professor Greg Blonder cooked two 13½-ounce rib eye steaks to 125°F. He cut one into strips immediately, rested the other for 30 minutes, and then cut it into strips. He collected the juices from the steaks and measured them. The steak that had not rested expelled about 6 teaspoons. The steak that had rested gave up 5 teaspoons—not much of a difference. Also, the meat temperature on the rested steak rose to 145°F from carryover cooking; well past medium-rare to medium-well. Logically, the careful scientist repeated the experiment several times. Keep in mind, when we eat a steak, most of us cut into it one piece at a time; we don’t slice it into strips. And that juice isn’t lost. We mop it up with the meat on our fork. Professor Blonder then turned his attention to pork loin roasts. He cooked two large 33-ounce roasts, removing them when their internal temperature had reached 140°F. He let one sit for 3 minutes and then cut it into slices, collecting the juices released by the meat. He rested the other for 20 minutes before slicing, waited 5 minutes, collected the juices, and weighed them. The unrested meat released 3 ounces of juices, compared to 2 ounces from the rested meat, a difference of only 1 ounce. Professor Blonder poured the 3 ounces of liquid from the unrested pork on top of the sliced meat. The meat drank up about 1 ounce of the juices, precisely the difference between the rested and unrested meat. Resting meat has other drawbacks: making the crust or skin soft and wet, making the fat waxy, and causing overcooking. You should serve meat hot from the grill. It will “rest” while you eat. Related Post: What is Cooking Loss in Meat? 12) MYTH: Let Meat Come to Room Temperature Before Cooking. BUSTED! A lot of recipes, especially those for big roasts, direct you to take the meat out of the fridge an hour or two ahead of time and let it come up to room temperature before cooking. You do this to cook your meat evenly from edge to center. Therefore, the closer it is to its final eating temperature, the more evenly it will cook. Letting it sit on the counter for hours will bring the steak up to room temperature—a good 20 to 25°F closer to your final serving temperature. In addition, the warmer meat will brown better because you don't need to waste energy from the pan to take the chill off of its surface. Here’s The Reality: Say you want a steak to be served medium-rare, about 130°F. If your fridge is 38°F, then the meat must climb 92°F. But if the meat is at room temperature, 72°F, then it only needs to climb 58°F. It will cook faster and there will be less overcooked meat just below the surface. 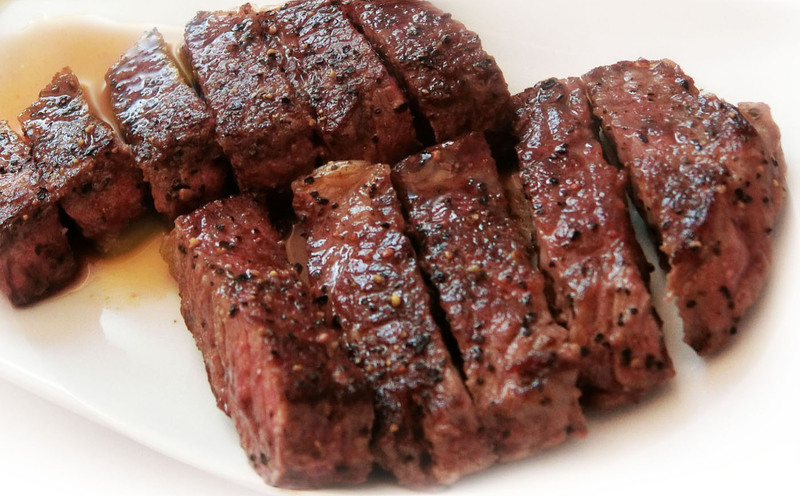 But a 1½-inch-thick steak takes more than 2 hours for the center to come to room temperature. A 4½-pound pork roast 3½ inches thick takes—are you ready?—10 hours! Take your meat straight from the refrigerator to the grill or cooker. It is safe, it will warm much faster in the cooker than on the kitchen counter, and remember, cold meat attracts more smoke. 11) MYTH: Marinades Penetrate Deep Into Meat. BUSTED! Marinating, it’s said, not only adds flavor and moisture that will stay with the food through the rigors of the grilling process, but also tenderizes whatever you’re about to put over the coals. There’s only one problem with this reassuring cooking scenario: as we’ve learned over 11-plus years of professional grilling, it’s mostly just not true. The Reality. In a series of experiments, a variety of meats and vegetables was soaked in a marinade of oil, vinegar, table salt, and green food coloring to see how deep the coloring penetrated. (Food coloring is a large molecule comparable to flavor molecules found in marinades.) Seafoods and some vegetables absorbed the coloring deeply, but for other meats, the coloring never got much past the surface. We also soaked foods in savoring marinades, cooked them, and carefully removed core samples from the center so as to not get juices from the surface on the samples. There was no evidence of the marinade penetrating that far. 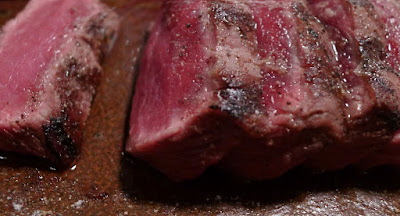 A hollow was cut in a steak and filled it with oil. After many hours, none of it had been soaked up by the meat because meat is 70 percent water, and oil and water don’t mix. b) any flavor that marinades impart is muted, too diluted by the liquid. 10) MYTH: Searing Meat Seals in the Juices. Remember to obtain a perfect sear or the desired brown, the meat surface must exceed 150 °C (300 °F), so searing requires the meat surface be free of water, which boils at around 100 °C (212 °F). The Reality. Although searing browns and firms up the surface of meat, it does not weld the fibers shut and lock in the juices. 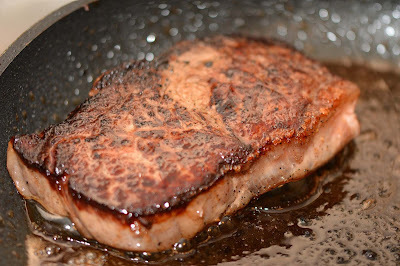 Searing has been demonstrated to result in a greater net loss of moisture versus cooking to the same internal temperature without first searing. If you still believe this myth and not the science behind it, try conducting a randomized controlled experiment not just a thought-experiment. This doesn’t mean we should not sear. Searing creates browning or Maillard Reaction, and it will make you favorite meat taste even better. Searing is sometimes done at the end of the cooking process to gain the flavor benefits of the Maillard reaction, as well as the benefits of cooking for a greater duration with more moistness. a) The browning creates desirable flavors through caramelization and the Maillard reaction. b) The appearance of the food is usually improved with a well-browned crust. c) The contrast in taste and texture between the crust and the interior makes the food more interesting to the palate. 9) MYTH: The Red Juice is Blood. BUSTED! That 'Blood' In Your Meat Isn't What You Think It Is. People call the pink juice from meat- blood, but it is not. It is myowater. The Reality. What is myo water in meat? The red liquid that drains out of raw red meat is a mixture of water and a protein called myoglobin, whose purpose is to help ship oxygen to muscle cells. If it were blood, it would be dark, almost black, just like your blood, and would coagulate on the plate. But instead it remains pink, thin, and watery. Let’s just call it “meat juice” from now on, OK? I’m convinced that calling it blood is why many people swear off meat and others insist their meat be cooked well-done. 8) MYTH: Grill Marks are the Sign of a Great Steak. BUSTED! 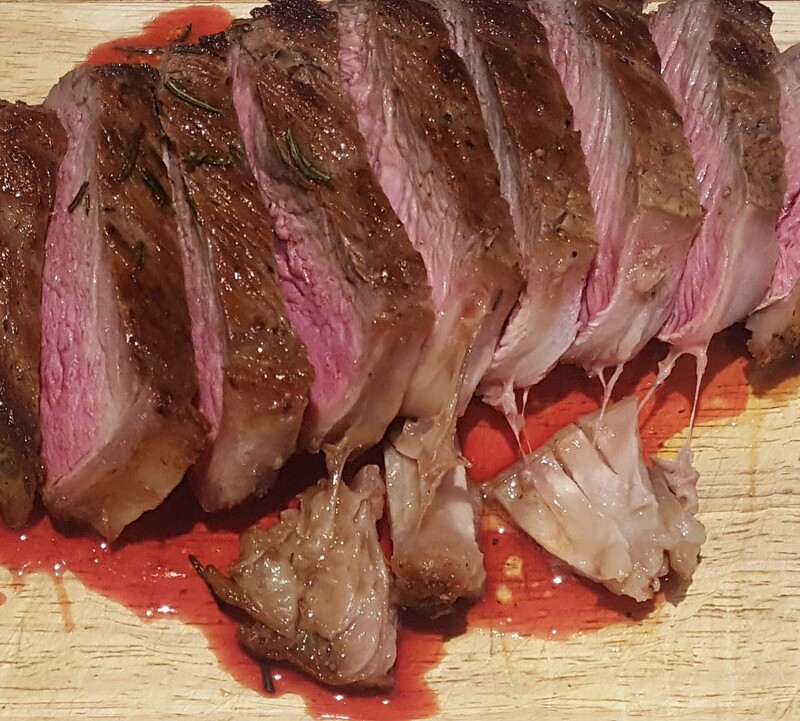 People believe that perfect sear marks on a grilled steak are not only awesome, but serve an inner purpose. They seal in juices and help release the steak from your grill. This is what creates that great grilled flavor. Grocery, restaurant, and grill ads show beautiful steaks and burgers with crosshatched grill marks. Some restaurants even buy pre-marked chicken that they can microwave and serve. Youtube videos, recipe blogs, cooking magazines and books teach readers how to get great grill marks. But those grill marks are merely superficial branding, unlike the deep, rich sear that delivers maximal taste and texture. For example, in an average grilling only about one third of the surface is fully browned on the rib eye. The diamond shapes between the grill marks remain tan, well-done meat, full of unrealized potential. The Reality. When it comes to meats and many other foods, the goal is to get golden brown to dark brown color on as much of the meat’s surface as possible because dark brown means hundreds of tasty compounds have been created through the Maillard reaction and caramelization. I’ll admit that some foods do benefit from grill marks. On thin foods like shrimp, skinny chops, skirt steaks, asparagus, and bell peppers, grill marking quickly browns the exterior without overcooking the interior. But watch out that your delicious brown stripes don’t turn into burnt, bitter-tasting scars. 7) MYTH: You Can Tell Doneness by Cutting Into Meat to Check the Color. BUSTED! The ill-advise. Make a small cut in the thickest part of the meat, and apply a little pressure onto the meat and look at the color of the juices and the meat. The Reality. A lot of weekend barbecue enthusiasts cut into their meat to check the color for doneness. The problem is that the color they see on the grill is not the color that they will see on the table. That’s because myoglobin is the source of most red color. When myoglobin comes into contact with air, it changes color. When you cut into a steak, it may look perfectly done to you, but as the myoglobin absorbs oxygen, it can turn brighter red. Be sure to check with a thermometer, as color alone is not a foolproof indicator. Test steaks, roasts and burgers for doneness using a meat thermometer or a reliable instant-read thermometer. It should be inserted through the side, with the tip in the center of the cut, not touching any bone or fat. Remove steaks and burgers from the heat when the thermometer registers 5°F lower than the desired doneness, and roasts 5-10°F lower, as the temperature will continue to rise while resting. 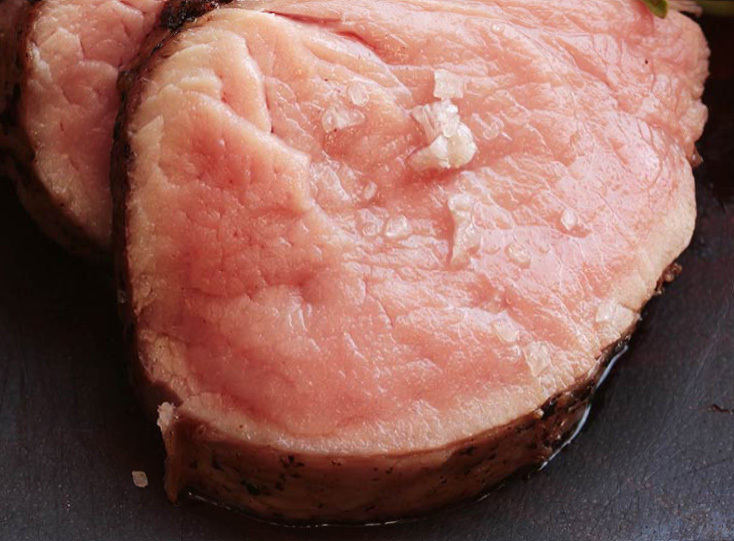 The USDA recommends steaks and roasts be cooked to 145°F (medium). To ensure food safety, ground beef should be cooked to a minimum 160°F (well done). 6) MYTH: Massaging in the Rub Pierces the Meat Surface and Makes the Juices Run Out. The Reality. There is a reason they are called cuts of meat. Meat muscle, which is what we eat, is made of fibers, bound together with connective tissue, that are mainly linked to other groups of muscles or directly to the animal's bone structure. One unit of a bundle is called a sarcomere, or little muscle. The thick filaments are the contractile protein myosin. Meat is muscle that has been cut to remove it from the bones, some fat, and other muscles. It contains thousands of muscle fibers that have been sliced open. The surface is full of microscopic ridges, valleys, pockmarks, and pores. Massaging in a rub won’t hurt the meat one bit—the meat will not lose any more juice than if you were to just sprinkle it on. In fact, rubbing a rub helps get it some into the meat. 5) MYTH: It’s Important to Match the Wood to the Meat. It's essential to match the right woods when grilling or smoking foods, from pork to fish. You should try to match the right variety of woods when grilling or smoking brisket, pork ribs, salt, salmon and turkey. When choosing great flavor combinations for smoking meat, one thought to consider is the potency of various smoking woods. It helps to look at the intensity of smoking woods on a scale of mild to strong. You want the wood that you select to harmonize with the type of meat you will be smoking or grilling. Apple Wood has a sweet and fruity flavor. Used for poultry, beef, pork (especially ham), game birds, lamb and some seafood. Cherry Wood has a sweet mild and fruity flavor. A good match for all meats. Grape Vine Wood has a tart and fruity flavor. Used for poultry, small game birds, lamb, pork and sausage. Use it in moderation or the tart flavor may be overwhelming. Hickory Wood. This smoking wood creates a sweet and strong bacon-flavor. The smoke can be pungent, but it adds a nice, strong flavor to just about all meat cuts, but it’s especially popular with pork and ribs. Maple Wood has a mild sweet flavor. Use maple wood with poultry and small game birds. Vegetables and cheeses are often grilled with maple wood. Mesquite Wood has a earthy flavor that is ideal for most red and dark meats. It’s one of the hottest burning woods. Mulberry Wood. This smoking wood has a flavor similar to apple that is ideal when grilling poultry, fish and pork. 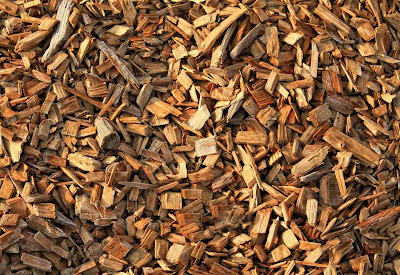 Oak Wood has a medium smoky flavor. Oak works well just about any meat. Olive Wood. Olive wood smoking wood tastes best with poultry. Peach Wood infuses a sweet and fruity flavor. Peach wood is great when grilling pork, poultry and small game birds. Pear Wood. It smokes a light sweet and fruity flavor that works great with pork, poultry and small game birds. Pecan Wood is stronger than most fruit wood, but milder than hickory and mesquite wood. 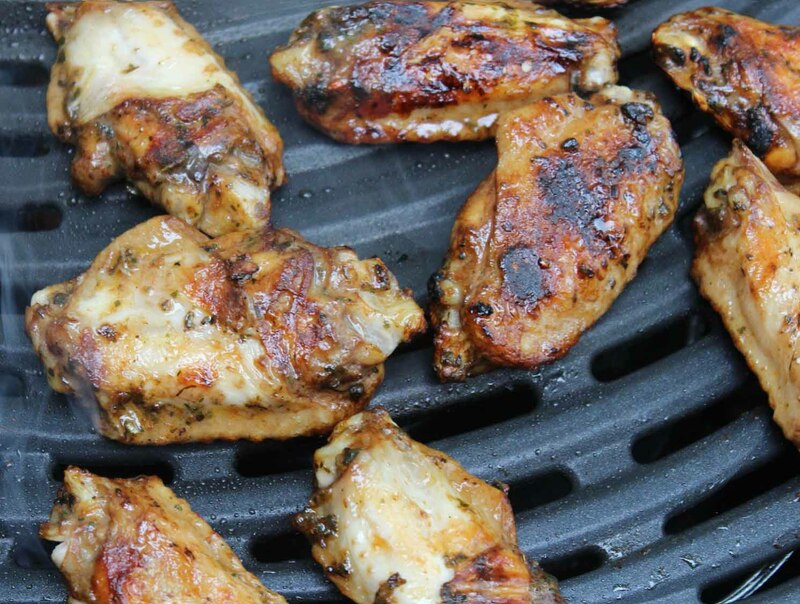 Pecan is best when grilling poultry but infuses a nice flavor to any cut of meat. Walnut Wood has a strong and slightly bitter flavor. Use walnut wood when grilling red meats, and game. Walnut wood is often mixed with other woods to create a milder flavor. THE REALITY. Humbug or you are a skxawng, if you believe these things. Professionals laugh at all the guides that attempt to describe different wood flavors. You will be reminded by the fancy descriptions that wine critics use. Think about it. Apple might taste one way on pork but it will taste entirely different on beef or turkey. What kind of hickory? Shagbark hickory or pignut hickory? Bark or no bark? Logs? Wood chunks? Wood cured for three years or less than a year? How much wood did you add? How hot was your fire? Shagbark hickory logs from the Finger Lakes will taste different than barkless pignut hickory chunks from the Napa Valley. I’ll admit that mesquite is so strong it is pretty easy to taste. And on some foods, like delicate fish, wood differences are more obvious. But most of the time, the smoke flavor is lost under the flavor of the meat, rub, and sauce. And frankly, that’s OK with me. Smoke should just be another instrument in the orchestra, not the soloist. Bottom line? Stop obsessing over which type of wood to use. Just pick one and use it for a while. Keep the variables to a minimum. Once you have everything else under control you can try experimenting with different kind of woods. 4) MYTH: Apply the Rub, Then Wrap the Meat in Plastic Wrap and Let it Rest Overnight for Maximum Penetration. BUSTED! It is necessary to wrap meat tightly in plastic wrap or can I just set them in a pan or dish and cover that with plastic wrap. The Reality. 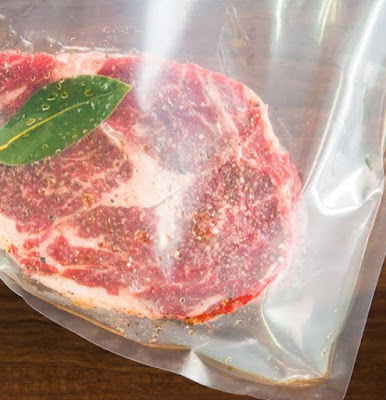 Plastic wrap does not force the large molecules into the meat like some sort of vacuum or pressure system. The plastic just gets stuck to the rub and pulls it off when the wrap is removed. Restaurant kitchens are required to cover or wrap meat so juices won’t contaminate other foods like vegetables, but at home, it’s not necessary if you are careful about cross-contamination. 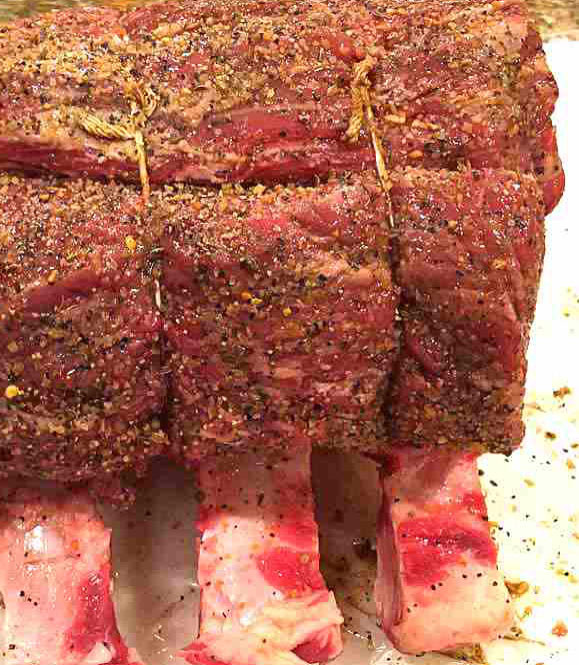 You don’t have to put on a spice rub well in advance like salt: You can apply it to the meat just before cooking. Rub the mixture right onto the bare meat or help the rub stick by first applying a little water, ketchup, or mustard. My experience is that these additions make little or no difference in the final flavor, so use whatever you want to get the rub to stick. I don't notice any difference really and it saves me a lot of time not having to get the meat ready the night before. That's just me. Either way you do it is just fine. 3) MYTH: Pink Pork Puts You at Risk for Trichinosis. BUSTED! Numerous so-called authorities or experts recommend massively overcooking pork. Why pork? The usual reason given is the danger of contamination with the roundworm Trichinella spiralis. Fear of Trichinella spiralis, perhaps the most infamous food borne worm, has inspired countless overcooked pork roasts. The trichina is widely dreaded for its ability to burrow into the muscles of pigs and other livestock, inflicting people who eat the contaminated meat with the disease trichinelllosis (also called trichinosis). Most of us learned of the danger from our mothers as well as from some public health authorities and nearly all cookbook authors, who have insisted for years that pork should always be cooked well done. The Reality. Once upon a time, when hogs ate garbage, it was easy to get sick from the parasite trichinosis in undercooked pork. Today trichinosis has, for all practical purposes, been eradicated in developed countries. The annual average infection rate is fewer than a dozen cases per year in the United States, and most are associated with eating undercooked wild game such as bear, not farmed pork. Modern farming and processing methods as well as public awareness of the importance of proper cooking have all but eliminated trichinosis in pork. This parasite is killed at 138°F and the United States Department of Agriculture (USDA) new minimum recommended internal temperature for pork is 145°F. So if you’re cooking bear, get it to at least 138°F to be safe. Trichinellosis from wild game (mostly bear meat) and from non-commercially raised pork was also very rare: just 64 cases over five years, for a total from all sources of 72 cases. This is such a low incidence for a country of more than 300 million people that trichinellosis ranks among some of the rarest diseases known to medicine. When it does occur, the disease is neither fatal nor serious, and is easily treatable. It is hard to see what all the fuss is about; there are far more common and more serious public health threats than trichinellosis. The alarmism also ignores two other points. First, most commercial pork is frozen to kill the parasite. For this reason, virtually all pork and pork products sold in the United States have been frozen even if they are labeled "fresh" at the store. Second, and perhaps more surprising, Trichinella is very easy to kill with a low heat. The Food and Drug Administration (FDA) cooking regulations for eliminating Trichinella include temperatures as low as 49C / 120F, albeit maintained for 21 hours. (The main reason to cook at temperature that low is to process ham in the style of a "raw" ham). The regulations do not even bother to list temperatures higher than 62C / 144F because the time required to eliminate the parasite would be less than a second. So why did Mom thinks, she had to cremate the pork roast? Well-meaning public health authorities have long exaggerated both the threat of trichinellosis and the cooking temperature needed to prevent it. Such overstatement may have arisen from good intentions, but at some point misleading recommendations become irresponsible. 2) MYTH: Cook Chicken Until the Juices Run Clear. BUSTED! Check the juices run clear by pulling the leg away from the body and skewering between it - juices should flow out and if any pinkness remains, cook the bird for a further 10-15 minutes. The fibers of the flesh should also be opaque and cooked, and no traces of pinkness or blood should remain. The Reality. This is indisputably false. If you believe it, you could end up badly overcooking or undercooking your poultry. Juices in chicken, turkey, and even pork are colored pink by the protein myoglobin. When myoglobin is cooked, its structure changes and the denatured molecules absorb light differently, so they no longer appear pink. It turns out there is no fixed temperature at which myoglobin changes color because other factors come into play. One research scientist explained that the acidity (pH) of the meat is a major factor. “When the muscle is high in pH (low in acid), it takes a much higher temperature to denature the myoglobin. The meat may need to be 170 to 180°F before the myoglobin in breasts is sufficiently denatured to see clear juices. 1) MYTH: The Higher the BTU Rating, the Hotter the Grill. BUSTED! When it comes to grills, BTU's are used as a measurement of how much heat a grill can generate when a burner is at its maximum output. More fire, of course! The Reality. Grill manufacturers often hype their grills’ BTUs, but the BTU rating is not indicative of the heat a grill can generate. BTU, or British Thermal Unit, is a measure of energy. It is the total heat output of all grill burners per hour and is typically measured by the fuel consumption of the burners themselves. It is derived from a calculation based on gas pressure, the size of the opening in the gas valve, and the type of gas. More BTUs indicate more fuel used, not higher heat. If you were shopping for a really fast car, the miles per gallon would not be a useful guide to how fast the car goes. It’s like that. The heat output of a grill must be calculated by BTU per square inch, or “heat flux,” something that grill manufacturers never tell you. To guesstimate the flux, divide the BTU by the square inches on the primary cooking surface. Do not include warming racks. For example, a four-burner grill with a 48,000 BTU per hour rating and 500 square inches of primary cooking surface produces 96 BTUs per square inch per hour, or a heat flux of 96. A five-burner that generates 52,500 BTUs per hour with 650 square inches of grates delivers 81 BTU per square inch per hour, or a flux of 81. These examples show how, even though the bigger grill has a higher BTU rating, it actually delivers less heat to the food. Typical heat flux is about 85. But heat flux is not a perfect measure. If the burners on one grill are a lot closer to the cooking surface than another, the closer burners will deliver more heat to the food. The distance between the burners might also create cool spots. in addition, infrared grills can generate more heat per BTU per square inch than convection grills because they are more efficient at delivering heat.